The enhanced place terms offered for prime feature handicaps like the Hennessy are a highly useful betting angle, if you can make a fair case that the race throws up enough lumpy prices to make it worthwhile - which of course they often do. It's really a question of class. 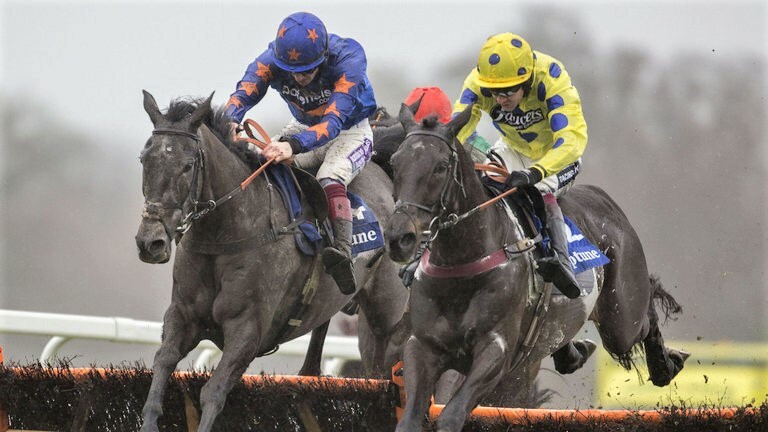 You are looking for horses who have won a Grade 2 or 3 race of any kind, priced today between 20/1 and 50/1. The Grade 1 winners are ignored as the prices aren't normally good enough. Then the only other filter is that they line up today on a chase handicap mark (before any riders' claim) that is no higher than their highest chase mark in their last 10 runs. That's it. If you had backed all such runners blind, 1pt EW since 1999, on standard industry place terms: 45 bets, 12 win or placed for +65 pts profit (+72.7% ROI). But todays enhanced place terms, even adjusting for years with smaller fields, would have yielded at least another 12.2 points profit. There are four qualifiers this year. I put a line through Southfield Royale as he just doesn't seem in love with the game (let's hope that's true). Make sure you take SP; Hills and Sky are obviously trimming their prices due to the 7 place concession - so with any luck they should go off higher than the current quotes. 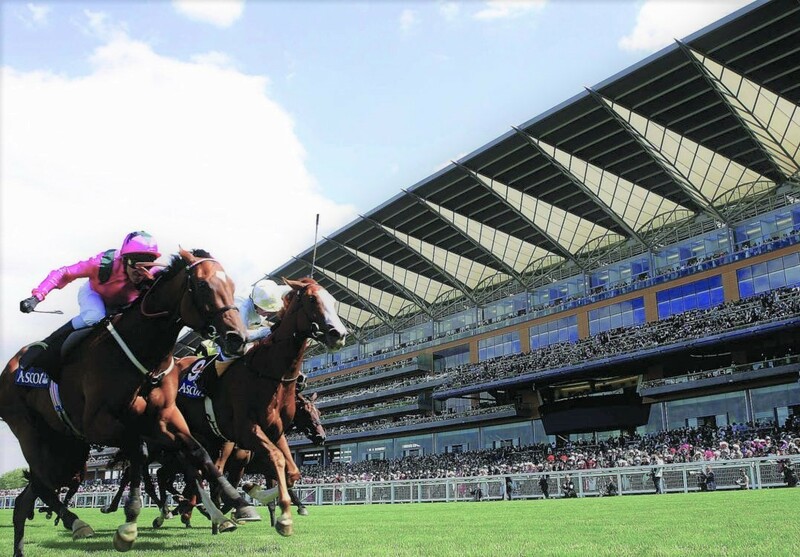 We usually try to find something at a fair EW price for Pro Tips but the decent ground is at Ascot and both features look likely to be taken by something in the first 3 in the betting. In the 1965 Chase, Top Gamble is favoured by the weights and might launch a fair bid although the ground is against him. 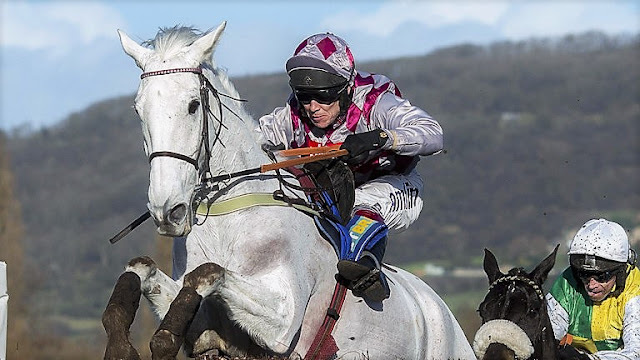 They've tried to compensate by stepping up in trip but that rarely seems to work for horses who just like it properly soft, and in all probability the race will turn into a match between Top Notch and Smad Place. 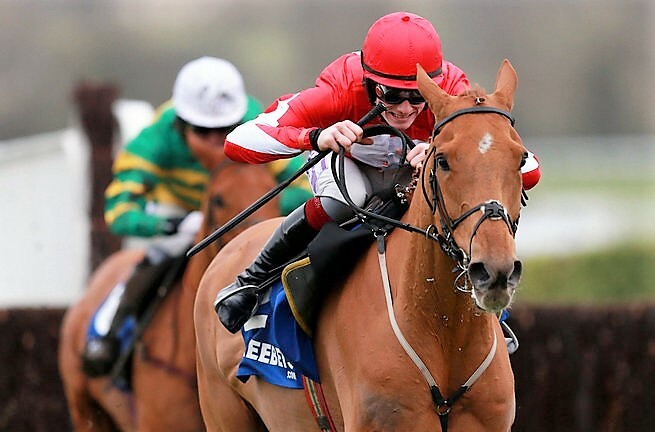 LIL ROCKERFELLA has shed his Grade 2 penalty and is now ripe to collect another decent pot. He ran a blinder in this race last year, giving 4lbs to Yanworth who had to pull out all the stops. 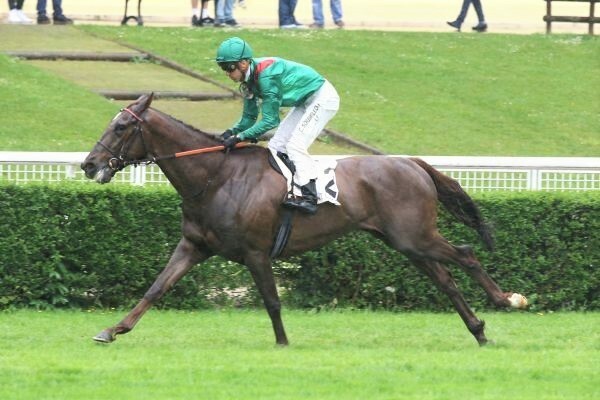 This year he receives 6 from L'Ami Serge and 3 from Defi Du Seuil. He also comes here cherry ripe, rather than having a straightener for other targets which is really what this race represents for the others. 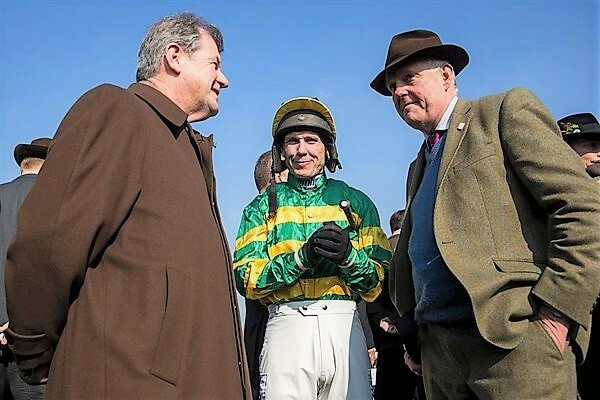 The imponderable is how much improvement Defi Du Seuil will find at this trip, but he's still only a 4-y-o and has a long season ahead - he's not fully mature and they will have left something to work on, and at the prices we think the value lies with Lil Rockerfella. This year's Badger Ales Trophy chase looks a cracker, with a little spice added by the prospect of properly soft ground as this is a staying chase usually run in faster conditions. There has been 11mm overnight and the forecast says there's more to come. This has changed the complexion of the race into a real test of stamina. 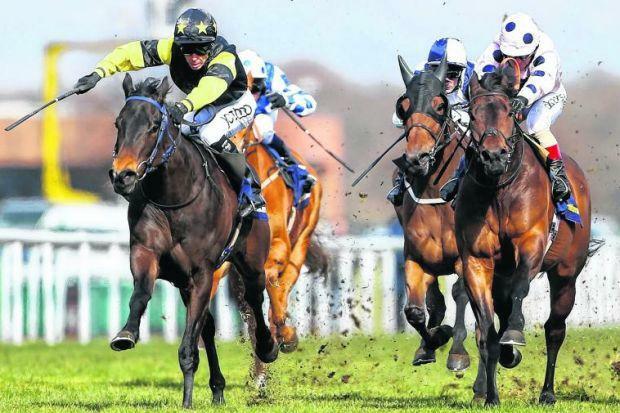 Being a race that attracts front running types, the presence of free-wheelers like Yala Enki and Henllan Harri, suggest the race should set up for a closer with proven stamina, and that looks an ideal combination for the up-and-coming young legs of Mr Mix, ridden by Harry Cobden for Paul Nicholls. MR MIX arrives on the back of a smooth victory on handicap debut in the Desert Orchid Silver Cup at this venue two weeks ago - a path taken by four previous winners of the Badge Ales Trophy - improving greatly for the step up to an extended trip. He is sure to remain very well treated and as we know, this is a race Paul Nicholl's loves to win. The yard's other contender, Southfield Theatre, fell at the final fence here when 1/2 length ahead in last year's race. That was on good ground, he's 3lbs higher and the soft ground will stretch his stamina. Given the rain, if he had a choice (which Paul Nicholl's says he doesn't), I would imagine Sam T-D would be high-tailing it over to ride Mr Mix. Paul Nicholls took this race a few years ago with another unexposed type in The Minack and has gone close with several others. I expect a bold show from Mr Mix, he should be hard to keep out of the first 4 and could well take this with a good ground of jumping. D N Russell is 5 wins from 18 in handicap chases for Henry de Bromhead for a blind profit of +19.5pts to SP. It's an association that has gathering pace in recent times - the duo are 3 wins from 6 this year (+15pts), including 2 wins on board On Fiddlers Green. In fact, Russell has been in the saddle for all 4 of On Fiddlers Green's career wins since his maiden hurdle victory in 2015 - although he's proved a much better chaser. 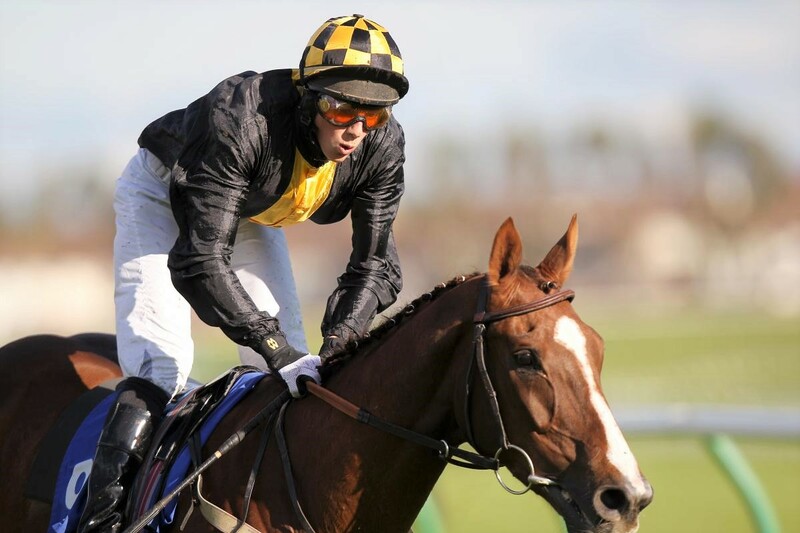 Russell's rides on this horse when chasing read: u,2,1,1,1 culminating in a career best win at Roscommon in the Connacht Handicap Chase (described as an ultra-competitive renewal), where he jumped round like a dream. ON FIDDLERS GREEN was thought good enough for a crack at the Galway Plate on next start but ended up reserve and didn't get a run, which was a shame because he ended up in the consolation race run on soft ground which is probably didn't suit. He had a prep for this 20 days ago (again modest on soft, and Russell wasn't riding) and will arrive fit, back on good ground and, hopefully, ready to resume his upward path over an ideal tip. Looks good value at 16's and the yard do love a winner here. 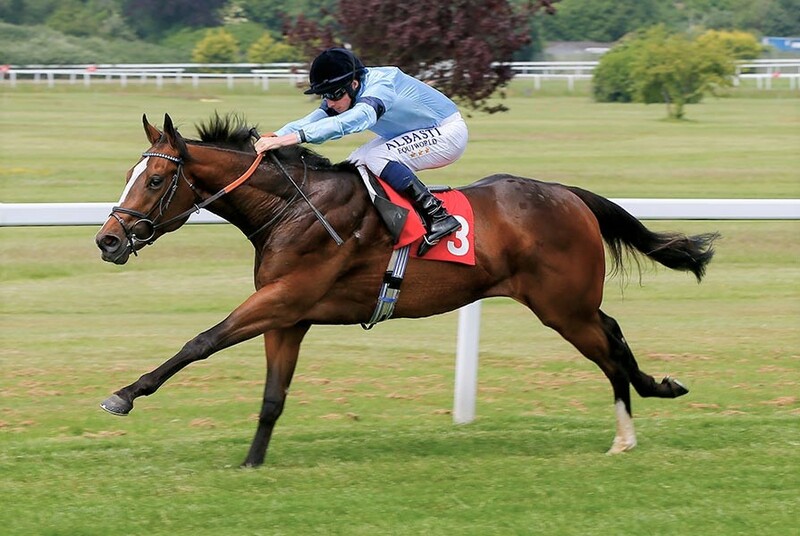 David O'Meara fields an interesting newcomer today in the Aga Khan bred French import Dalshand, who makes his GB debut this afternoon at York. Dalshand has a top class pedigree - the dam is a full sister to Daylami and a half-sister to Dalakhani, one of the Aga Khan's best late-maturing bloodlines. He produced a very taking display on debut, hacking up impressively in a valuable 1 mile 3yo maiden. Dalshand didn't progress as fast as they hoped that year - he's a big backward type - but ran a fine race in a £20,000 Listed contest at the tail end. That was over 14 furlongs on good ground. He had a wide draw and was forced to race 3 wide, off a muddling pace. He did by far the best of anything off the pace, only failing to get up by 1.75 lengths. He picked up an RPR of 98 for the run (Timeform 106) and races from a BHA mark of 88 today. They don't have a good program of suitable 2m+ staying flat races in France, so the following season they tried him dropped back to middle distances which only confirmed he wants a trip. He's only ever been tried twice at 1m6fl+ and he's run really well both times. Today's race on a flat 2 miles around York, where he should get an end to end gallop looks ideal. He won't be wound up to 'run for his life' - that's not the O'Meara way on debut - but off a mark of 88 he doesn't need to be, especially when they are offering circa. 16/1 to 4 places. Win, lose or draw today, he's one for the tracker. Regular readers will know I make a bee-line for the enhanced place terms offered in top quality big field handicaps; so I've been rubbing my hands this morning as they don't come much bigger than the Cambridgeshire. A strongly run handicap over the unusual 9fl trip on a straight course is perfect fodder for big prices in the frame. Especially, in the case of Hills or Sky, where that frame is 8 places. Every year, this handicap is like 2 races. The upwardly mobile improvers with marks up around 100 and the lesser lights with perhaps more experience and lighter loads who can run to their mark, or a little better, in a very strongly run race. Almost every year the RPR's of the first 5 or 6 home jump around all over the place. For example in 2015 the first 5 home were awarded RPR's of; 106, 111, 96, 98 and 104 (the winner 106). The horses who achieved RPR's of 96 and 98 were priced at 50/1 and 20/1 respectively. That's just one year. The fairly-weighted, in form, competitive 5 and 6yo's are heavily overlooked. To be fair you don’t get too many of the right kind but they do crop up. Over the last 20 renewals there has been just 14 qualifiers, but 7 of those either won or made the frame. The most recent example was Bronze Angel in 2014. 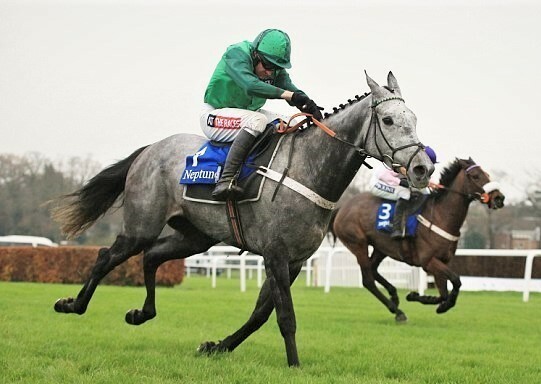 Many will also remember Prince of Johanne winning in 2011 at 40/1. There is a qualifier this year, NICHOLAS T trained by Jim Goldie. A late bloomer, he's been in career best form this season and quietly improving. He's also very flexible, coping equally well with turf as different as Ayr, Ascot or York. The most recent run at York was very interesting: stepped up to 10.5fl in a high quality handicap, he was bang there with a furlong to go, fading quickly. However the run needs marking up, as he had no chance racing on the slowest part of the track. That was a very strongly run race, and he proved he could go toe to toe for 9.5fl. The drop to 9fl looks plumb perfect here. He's drawn low and that may or may not work out the place to be. He would also probably appreciate good ground rather than gd-sft - although he ran a very big race recently at Ascot with cut. He's a standing dish at Ayr where the ground soon gets very holding and I suspect Newmarket gd-sft will be fine if they avoid more rain. At the prices though, I'm more than happy to pay to find out. This is the sort of weather that can fry your brains trying to find a decent bet, but after a good hunt round this morning there is one horse who looks underrated at Ascot today. When Tony Carroll sends a sprinter to a southern Grade 1 track, you should give the horse a second glance. 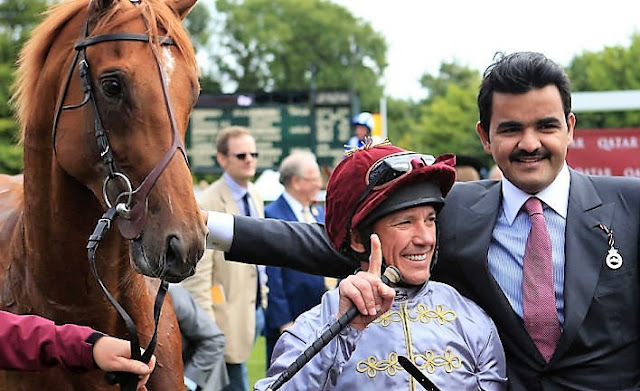 He's an 'under the radar' trainer at these venues, despite enjoying great success with quality sprinters like Boom The Groom, Caspian Prince and Time Medicean - so the prices are often attractive. And Mr Carroll does look like he's got his hands on another interesting one in DOC SPORTELLO who ran a very taking debut for the yard at this venue in the Shergar Cup - motoring home from the rear in the final furlong, but shaping with promise throughout. The extra furlong today looks ideal and the testing ground, if anything, could suit him better than good to soft. He does have an in and out profile, but the signs last time were that he's thriving, and at the price looks well worth a speculative bet. This weekend its time for the Beverley Bullet, which thanks to a heavy draw bias is always an interesting race for a bet. After an overnight shower the going is gd-fm (good in places), and a dry day is forecast with a gentle cross wind predicted, but nothing to trouble those on the pace. Historically, anything drawn in stall 9 or lower can win, but in practice stalls 1 to 4 enjoy such an advantage it's better to focus there and just keep an eye out for something a bit special drawn 5 to 9 (like Tangerine Trees was in 2011). Which brings us down to three this year; Mirza, Kimberella and Take Cover. On a line of collateral form this summer through Battaash (versus Take Cover), Mirza could end up a lot closer in this than the market suggests - especially as he doesn't carry a penalty. 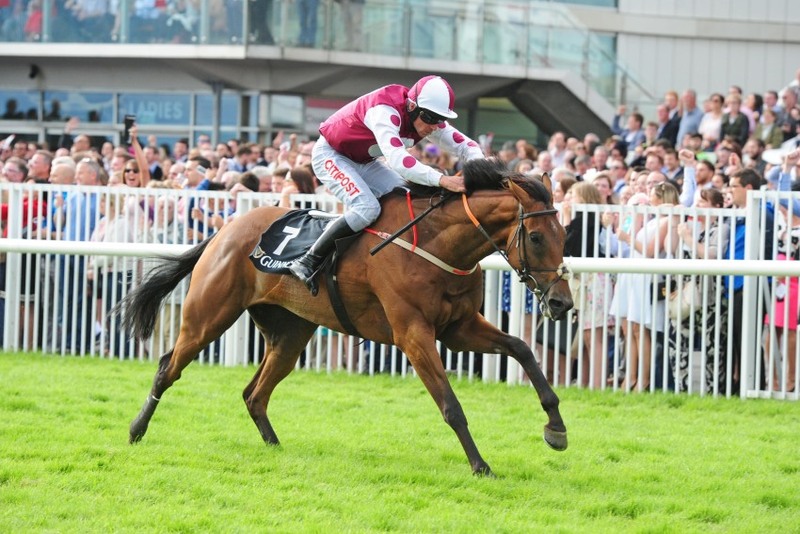 He was 2nd in this race in 2014, a heroic effort held up from stall 9, and he can sit on the rail here tracking the pace under the excellent Joe Fanning. A fast pace to chase and stiff finish are right up his street. The negatives are he would rather be held up further back, which will dent his finishing effort, and his win record - just one victory since 2015. He has possibilities in the Betfair place market. TAKE COVER has plenty in his favour. He's likely to bag the plumb far rail and lead and will take some getting past from there. 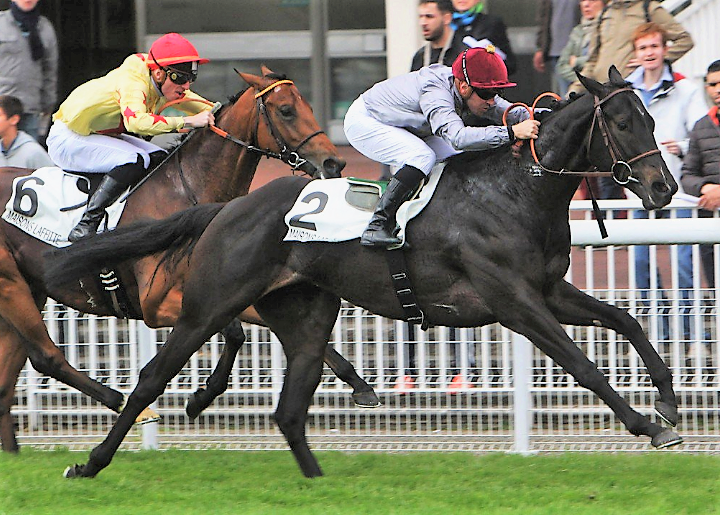 He has a great record in Listed company and remains very fast in the right conditions. I'd be slightly more confident if the ground was gd-fm all over, but he's very effective when he gets things his way and is worth a bet at around 5/1. 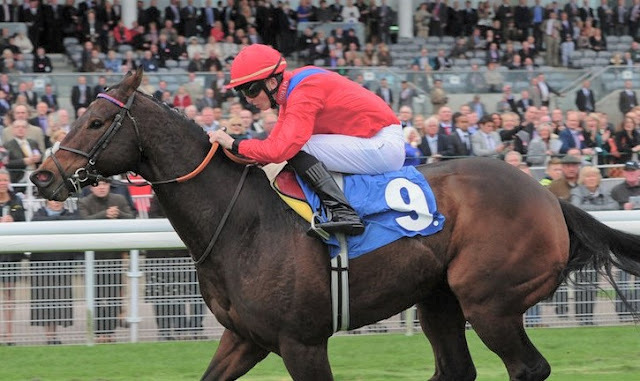 York Day 4 and time for the big one - Europe's richest handicap, the one and only Ebor. The percentage call with big field, top class handicaps is almost always to look for each way value and take advantage of bookmakers' enhanced place terms. The Ebor is no exception, with a rich history of big prices not only making the frame, but winning too. Highest class career victory: either a class 2, 3 or 4 handicap, or a Group 1 or 2. Has previously run in any sort of race over a trip between 2 miles to 2m 6fl. Since 1997, 87 horses have met this criteria - producing 19 win or placed on standard EW terms, for a £1 level stakes profit of £302.75. Extra 5th place terms would have added several more placed at 20/1+. At the time of writing, this years' qualifiers are: Winning Story, Natural Scenery, Seamour, Soldier In Action. I would suggest the two to concentrate on are Seamour and Natural Scenery. Seamour was 5th last year on similar ground, from a similar wide draw, from a mark of 103. He lines up today on 102 and takes off a further 5lb via talented claiming rider Ben Robinson. Last year Seamour was ridden aggressively from the break to slot in and track the leaders - quite an ask for a much less experienced jockey. He's also had an interrupted prep. NATURAL SCENERY comes here after a fine run in the Northumberland Plate, where she raced prominently. She's drawn in 6 today which will suit her positive style. 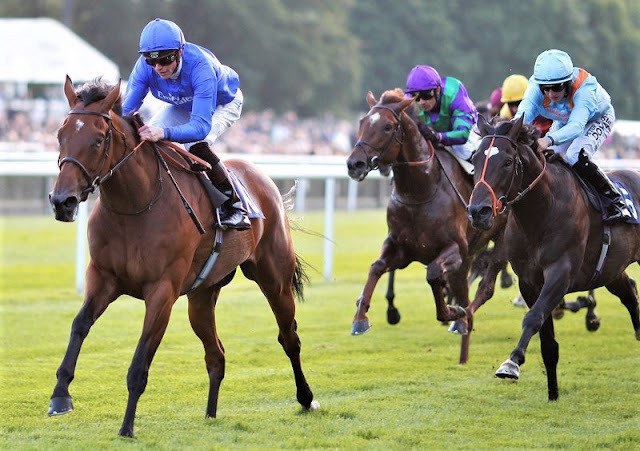 The trip holds no fears and Saeed Bin Suroor deals with the 2lb rise, by employing top 3lb claimer Edward Greatrex who has performed very well this year in the Godolphin silks. Natural Scenery lines up with an improving profile from an ideal position in the handicap. Goodwood proved she goes well on turf, and these drying conditions should suit her a lot more than the testing ground she encountered there. The chance of a passing shower or two at Ripon today for the Great St Wilfrid, with the ground looking like it will end up somewhere between good and good to soft. Winners have a long history of being drawn in stalls 1-13 and there is a 20 mph cross-wind predicted today, which will buffet those drawn high, so it looks a good year to stick with that formula. Winners also tend to be aged 3 to 7-y-o and rated between 80 and 101, with an improving profile (i.e. rated higher than last win). We're also looking for some evidence of being in form in the last 5 runs or so, and obviously we'll ignore anything with a dire record at the track. Plug all that into this years' field and you build a short-list of: Flying Pursuit, Pipers Note, Robero, Classic Seniority and Snap Shots. We used to be involved with CLASSIC SENIORITY via the Enigma Racing syndicates and we know first-hand he's a nice horse. He's named after Richard Hannon Senior who liked him from the get-go and at one time owned a leg himself. Classic Seniority has been a very slow burner - too slow for us - but bit by bit he's clawed his way up from claimers all the way to the Scottish Stewards' Sprint Cup, which is a huge credit to the horse, who to be fair has a striking win record. The trip and ground are perfect for him here - he's also a course winner and could well improve again. With his handy draw he could run very well. Given the price and the trainer (Tony Coyle), I am also temped to give SNAP SHOTS the benefit of the doubt. He was 6th in this as a 4yo last year, winning his side of the race - he loves Ripon, so trip, track and going are all ideal and the last time he met Pipers' Note over CD they were separated by only a whisker or three. Perhaps crucially though, Snap Shots has age on his side. He's a 5-y-o in his prime, with an an excellent piece of recent form at York - there is a good race in this horse. He just blotted his copy book last time in a prep here when refusing to race in a first time hood which sensibly they've left off today. Clearly he comes with risks (but then what doesn't) and if he gets out of bed the right side today, 33/1 could end up looking awfully big. Another welcome drying day as we arrive at the final day of Glorious Goodwood. The forecast is dry, and the going somewhere between soft and good to soft. In other words, a progressive 6fl+ sprinter, in his/her prime, who has already won a decent quality race, in form and fit. It does make sense. The shortlist this year is; SHANGHAI GLORY, AL QAHWA, Upstaging, Stake Acclaim and Solar Flair. Of those, in the conditions, Shanghai Glory and Al Qahwa make obvious appeal for the in-form teams of Charlie Hills and David O'Meara. I like them both. Whether a far side draw is the place to be remains to be seen. Glorious Goodwood is also a meeting heavily targeted by a small clique of top trainers - and it pays to be very aware of the usual suspects. In this particular race, no one is more profitable to follow than William Haggas: 2 win from 7 runners for +£47 points to SP (+ 77.65 BSP). He's a great EW bet, with 4 win or placed for +£64 to SP, including last years' 3rd, RAUCOUS, who lines up again from the same mark. Raucous has previously won on soft and there's plenty of encouragement too from the pedigree. I think there's a chance he could improve with cut in the ground. He's also conveniently drawn on the other side to the two noted above, which gives us some cover stands' side. The Scottish Sprint Cup is a race the market often reads wrong. Taking all renewals at Musselburgh since 2003, put £1 on every runner and you’d almost break even (- £3.75). Any race where that happens is heaven-sent for value players. The way to play them is to forget about picking winners, instead think carefully about horses that have a believable frame chance at a big price - over time some of those frame chances will covert to winners, so initially make your target wide. Riders without a claim: 8 wins from 148 runners for -42.75 level stakes profit (LSP). 5 wins from 47 runners for +58 LSP; or each way 9 win and placed for +61.12 LSP. In 2017, this criteria of a claiming rider on fairly treated horses, gives a short-list of; Kimberella, Mirza, Orions Bow and Jack Dexter. However, I am not interested in well-fancied horses - we are scanning for EW value 14/1+ (the higher the better). The one that interests me most is JACK DEXTER from the wily Jim Goldie. How sweet it would be for Jim to win the Scottish Sprint Cup with the horse named after two of his grandchildren. I think he's having a real rip at this, Goldie even laying the seeds of his excuse by reporting that Jack Dexter had a problem in the spring but is healthy again now. Jack Dexter lines up 9lbs lower than when a close up 4th last July in a £62k handicap at Ascot, over 5fl on gd-fm. This is a horse who was 2nd in the Gr2 Temple Stakes the year before on good ground, when rated 108. He runs here off 92 and claims 5lbs. The draw is decent and there were quiet signs of revival on his recent prep run. This looks tee'd up to a nicety. The only question is going and undoubtedly they would prefer it softer - but he is absolutely proven on decent ground over 5fl and there's no doubt in my mind if they want to try, and they definitely are, then good ground is good enough. With luck in running I suspect he's got a knocking frame chance at a big price. If it does get too quick for him, then he's one for the tracker. The 3-y-o division acquired a new star in the Oaks yesterday, but there's nothing in this field that inspires quite the same confidence. In an open renewal every man and his dog has turned up for a crack at the blue ribband, resulting in a packed field. Draw and luck in running are sure to play their part. Through the initial twists over the 12fl course at Epsom, those drawn very low or high are at a disadvantage. Stalls 1 and 2 have to burn excessive gas to hold a position, while stalls higher than 14 have little option but to slot in towards the rear or try to get right on the pace. In fact for win purposes, unless you have a lot of talent, any draw higher than 10 makes life tricky. This century 64 horses have been drawn in stalls 10 or higher, the only ones to win were Australia (2.38 fav) and Authorized (2.25 fav) who both had that bit of extra star quality - and in Authorised's case, head and shoulders above the field. Cliffs Of Moher, drawn 13, looks worth taking on. 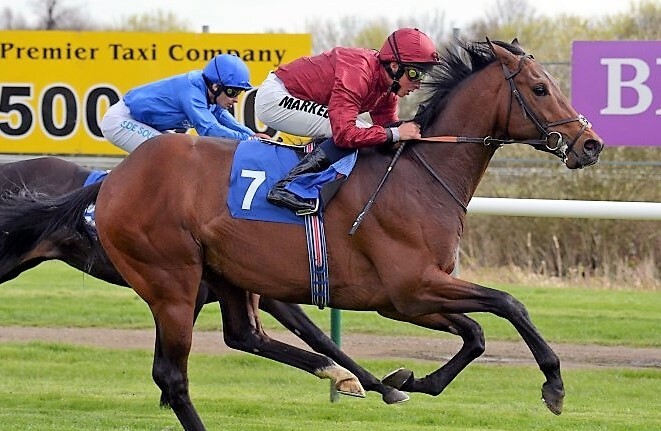 He has clearly done well at home since the Dee Stakes, but unless he has a charmed run will need to be a much better horse than the one we saw there. Looking at the rest of the field, there's no doubt in my mind his main rival is CRACKSMAN. Personally, I think it's fairly safe to assume Cracksman would come here as the Dante winner and a hot favourite if the ground had been suitable for a run at York. Despite every kind of disadvantage, he got the better of Dante winner Permian in the Epsom Derby Trial (lack of experience, greenness, luck in running and slow early fractions). Cracksman ended up in a pocket and in the circs, with greenness to overcome, did extremely well to overhaul a very tough horse, with far more experience who got first run. 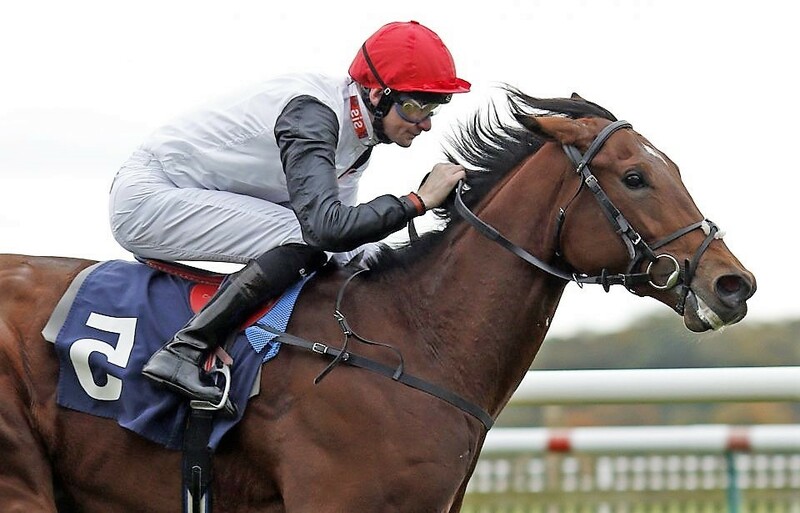 Opting to give Cracksman an Epsom course gallop in 'Breakfast With The Stars' looks a shrewd move and they've been rewarded with a prime draw in stall 7. That should be enough to give Frankie first run over Cliffs Of Mohar. If Anthony Oppenheimer's colt can get to the front in the last two furlongs, I don't think anything will get past him. Conditions are speeding up all the time at Epsom, by this afternoon they are expecting good, good to firm in places and I suspect hoping Rhododendron won't stay will prove to be clutching at straws. As a bit of insurance Ballydoyle have the inevitable pacemaker in for good measure and they will by hoping to dictate steady early fractions. Rhododendron is certainly the most likely winner. Aiden O'Brien has a great record in this race and some excellent fillies to choose from, he's unlikely to have picked the wrong one. But her price is prohibitive and an each way bet looks the way to play the market. 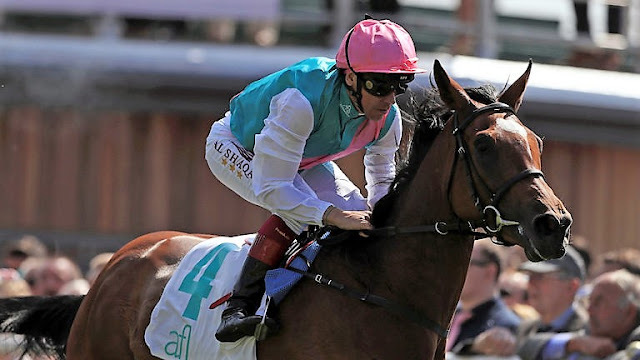 ENABLE was mightily impressive at Chester. For a staying filly she showed an unusual touch of extra class and brilliance and Frankie was impressed. She looks a serious filly in the making who will love the trip and conditions, and we know handles a bend. There's a good chance she can get first run on Rhododendron in this and looks very difficult to keep out of the frame at the very least and at 7/1 that's good enough. She looks a particularly nice bet if you have a B365 account where they are also offering 1/4 odds the place. And so to journey's end; the last hurrah of the jumps season and a race to savour, won by some fairly classy types over the years. It's a race that rewards accurate jumping. 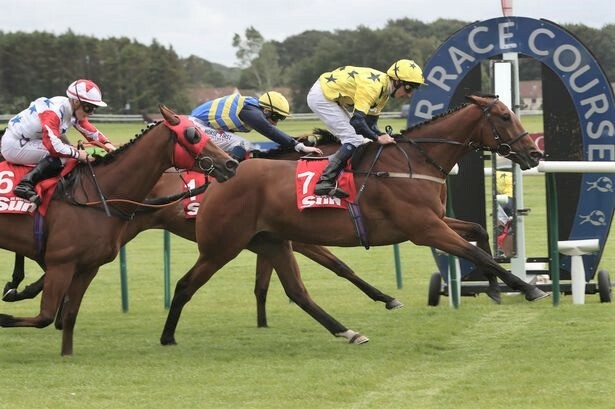 In fact, this is a very good race for horses who have previously been up to winning at Grade 2 level, who can now make experience count operating from a workable mark. If you just consider runners aged 8 to 13 who have previously won any race at Grade 2 level. Since 2003, 42 qualifiers have produced 5 winners and some very decent prices, for +63pts level stakes profit to SP. However stake the same group each way, and things are even better; 15 win or placed from the same 42, for a LSP of £101.75 on standard EW terms. There are only two qualifiers this year, Just A Par and Vyta Du Roc, both with winning course form. Just A Par won this in 2015 and only went down a short head last year. He's a net 6lbs higher this time if you factor in the loss of Harry Cobden's claim. From a handicapping point of view however, VYTA DU ROC has been given a real chance by Phil Smith and looks laid out by the team from Seven Barrows. He's a Grade 2 winner over both hurdles and fences, including at Sandown, and his good accurate jumping is just what's needed around here. 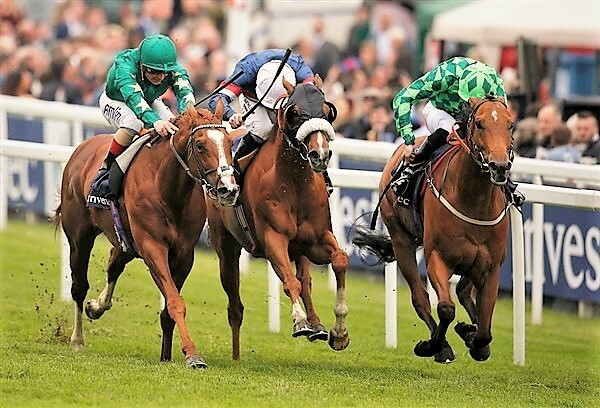 At first glance this conditions stakes looks a one-sided affair with the 110-rated Custom Cut taking on an assortment of handicappers and one or two under-achievers. However the 8-y-o gelding is a son of soft ground sire Notnowcato, and has done all his best work on an easy surface. They are relying on class to win out, for a horse who comes across these days as not quite absolutely keen to put it all in. Bookmakers make a career out of laying such horses and 4/5 looks awfully short. Bryan Smart will be hoping that gelding proves the key to Kentuckyconnection, who was 5th in last year's Guineas but one I have in my tracker, and who could well be improving, is Kevin Ryan's MOUNT TAHAN. The 5-y-o looked in great nick in the Spring Mile, travelling best of all for a long way before just finding the trip slightly beyond him. 7fl is his bag and the step back down is just what he wants. Take out the slightly wobbly favourite and it's certainly an open race, and I'm not at all surprised Mount Tahan has attracted support this morning. The way to play the National for profit over time is to concentrate on the enhanced EW terms and fish for big prices. We've seen multiple win and placed SP's of 100/1 this century and all sorts of fancy prices make the first 5 or 6 home. Those terms, especially to 6 places make the layers very vulnerable if you steer towards them and away from simply trying to pick the winner - which is the trap the bookies are relying on you falling into. And a very shrewd move that would be too! In the meantime, we've got something else for you which I hope and think will get your day off to an excellent start in the 1.45. The J P McManus owned NO COMMENT ended up in one of those races at the Festival where runners held up had no chance off an unusually slow pace. Well fancied for the Martin Pipe, No Comment showed his excellent form with eye-catching progress. Philip Hobbs' gelding did much the best of those most disadvantaged and obviously didn't have a hard race. His previous win ahead of Minella Awards reads well and he's the choice today of Barry Geraghty. The trip is an unknown but I do think it looks suitable on this surface. Put it this way, if he does stay I think he will run a very big race. 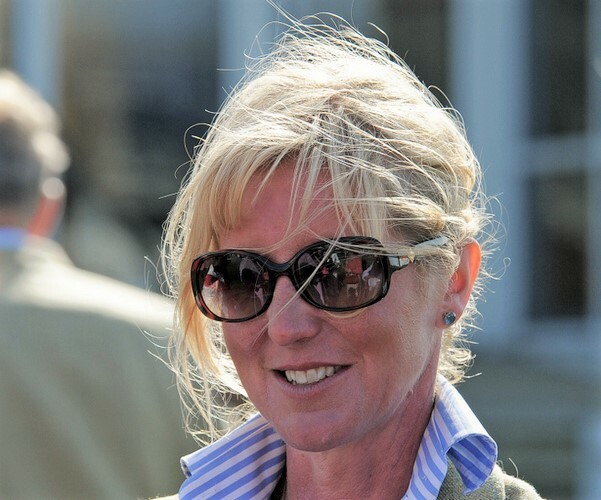 Lady Bamford isn't interested in owning gelded handicappers, let alone 6yo ones - so there's no doubt J Gosden thinks this horse has a valid shot at being Group quality. He certainly has the look of one. Also fits a long term stat we keep about unexposed J Gosden runners in April who reappear in decent handicaps at Group 1 venues.